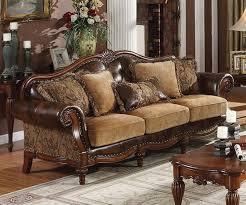 Classic Furniture was established in the year 1994. We are leading Manufacturer, Supplier, Wholesaler, Service Provider, Retailer and Distributor of Adorable Wooden Sofa Set, Stylish Wooden Sofa Set, Contemporary Wooden Sofa Set, Designer Wooden Double Bed, Antique Wooden Chairs, Luxury Wooden Dining Table etc. We are offering an extensive range of Stylish Wooden Sofa set. These are quality tested by our experts on various parameters before they are delivered to our clients to render maximum client satisfaction. These Stylish Wooden Sofa sets have a fine finish and are very well known in market due to their beautiful appearance and reliable nature.